For some reason I cannot read the configuration, or download any logging on my laptop running Windows 7. As the TCS program is fairly new and my laptop is old, do I need to upgrade to Windows 10? 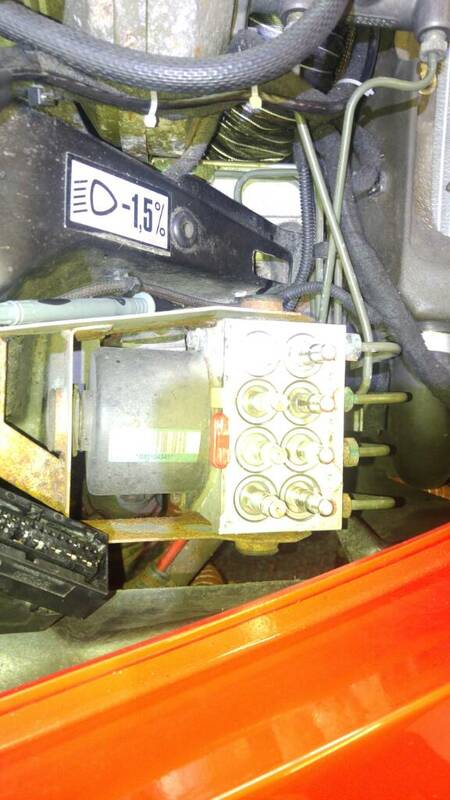 By the way, the unit works extremely well, I'm very pleased with the way that it works on my 220 SC. Quite chuffed that some of the photos' in the DIY guide is from my car! Edited by Gadget2, 27 October 2018 - 07:56 PM. I fitted it last week, went for a drive at the weekend and it didn't work. I've seen some a log and both fronts sensers say it's moving but not the rear wheels. I've had the wheels off today and disconnected the hub sensors and checked continuity back to the TCS which it has. 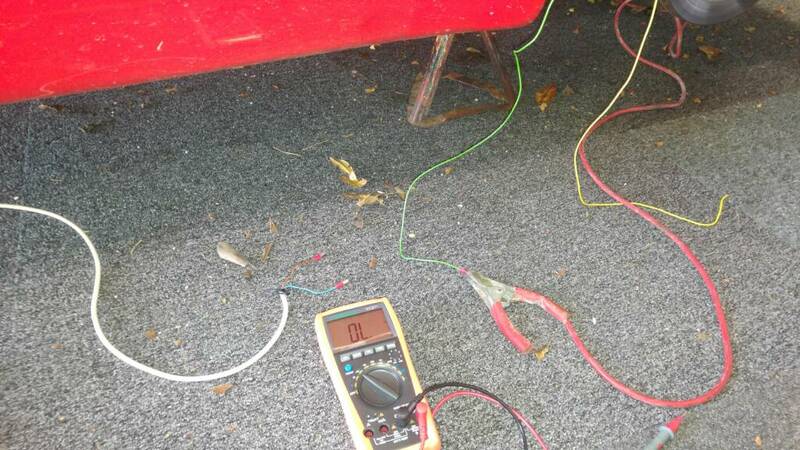 I have also connected my voltmeter to the hub sensual and spun them by hand and they both give an ac voltage. I have measured the resistance of the hub sensors and the F/N/S measures 1.4 k ohmes along with the R/O/S. The r/n/s measures 0.6M ohmes. But the speedo is working fine. I don't know what weeks to check? Do you have any ideas? Yeh I know, but then I have a swerve ball that the speedo works? I've run an external lead from both rear hub sensors (1 at a time) to the f/n/s (which I know is working) and used the wiring from here. Then had the car on axle stands and the engine running rear hubs spinning, it indicates a speed on the f/n/s. 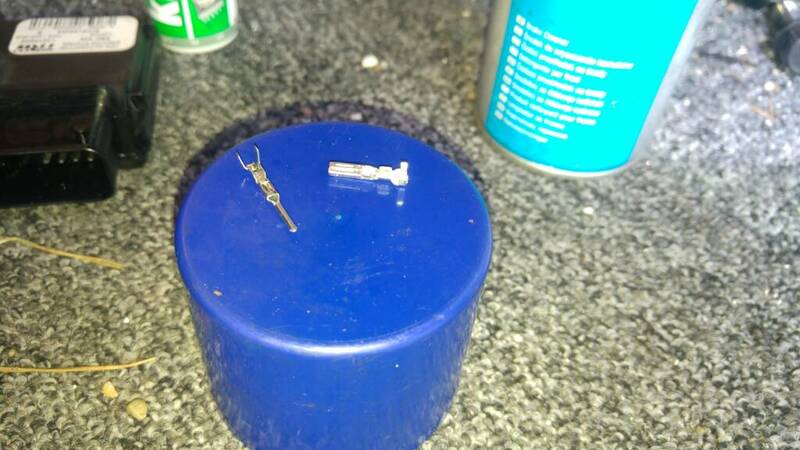 So this is indicating the hub sensors are working. I've also traced the wires back to the abs loom and measured the resistance on the terminals for the 2 rear hub sensers and they reflect what I am getting at the hub. 1.4k and 600k(i still don't know why this is so high). This would indicate the wiring is fine along with the continuity to the TCS. I have also reconnected my abs cut off wires and taken it out for a drive but still the rears aren't reading. I really don't know what else to do?? Next thing I'm trying is swapping the wheel sensors at the TCS, so fronts with rears. This will prove if there is a fault with TCS. Does your ABS normally work? If you were a bit closer we could have swapped TCS units to prove/disprove the unit/wiring. 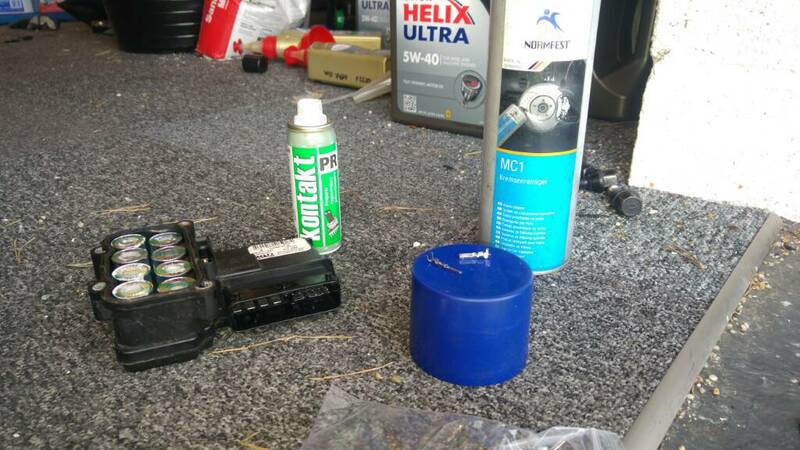 Since buying the car and reading such bad things about using the 2 channel abs on track, which is predominantly what I use it for I wasn't fussed. I have this afternoon, switched the front and rear inputs over at the TCS end. So fronts connected to the rear and rear ones connected to the front. I then got no signal from the front and a speed reading from the rear. This is indicating that the TCS is functioning correctly. The next thing to try is the other side (non hot side) of the abs sensor. I've been told to pinch the wire and check it is going to earn, we think it gets switched there by the abs module. I will obviously do the same with one of the fronts that work, just to prove the theory. After that you can measure the individual ABS leads on continuety (0 Ohm) to see where you issue is. Edited by Exmantaa, 12 February 2019 - 07:06 PM. I did measure them, which they where all 1.4k apart from the rear left which was 600k. Even though this is measuring so high, it still works as I wired it to the front wheel wiring. It also still works the speedo. I didn't swap the hub, just ran some extra wires from rear hub to front hub wiring to prove the hub sensor. I would suggest you get the advice of Jacek regarding this. I can put you in touch with him if you haven’t already found him. 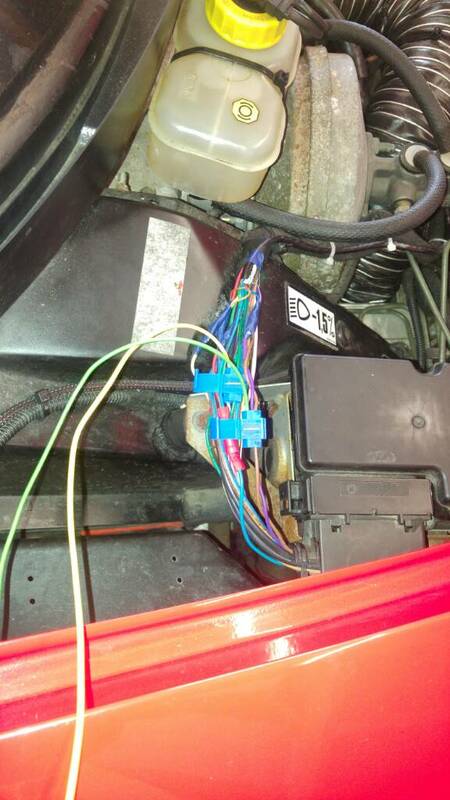 Suspect that you used your own wiring? Yeh I've been PMing him back and forth, as I try different things. I think I've fixed it - the problem was a poor connection to the abs module, good enough to give continuity but not strong enough to carry the signal, so very misleading. I've connected 2 wires in parallel to one of the rear sensors at the hub. I've connected the hot side directly to the TCS, the other wire is not connected yet. I've also crimped in a wire to the non hot side of this sensor at the abs module . 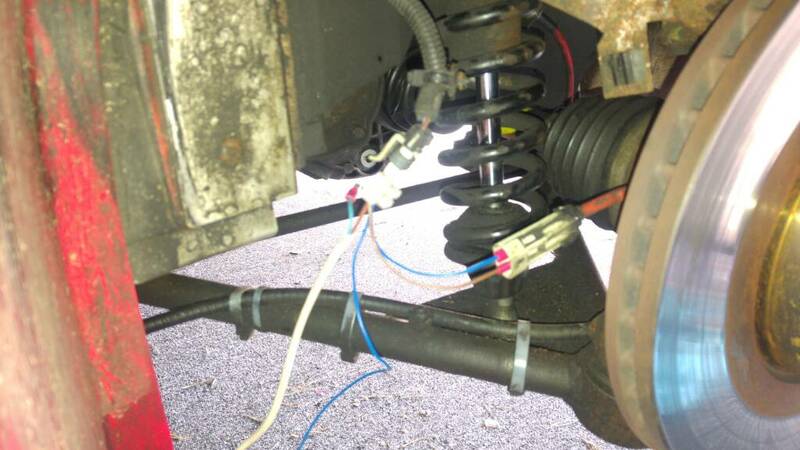 I ran car on axle stands and I still had no signal on TCS. I then checked the non hot side by the abs module and it was giving continuity to ground. 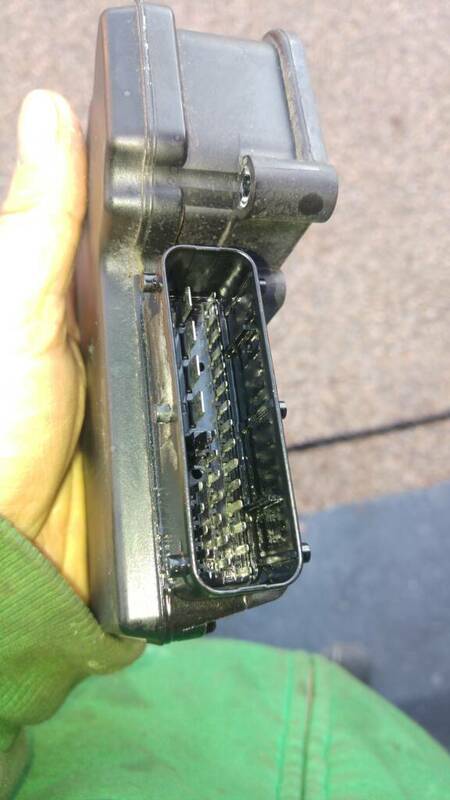 I also checked the extra lead that I had connected to the speed sensor and that had continuity to ground. I then took a lead straight from the battery earth to each of these non hot wires and it would work. I connected the 2 together and it wouldn't work. This proved that the ground that I got from the abs module wasn't good enough. 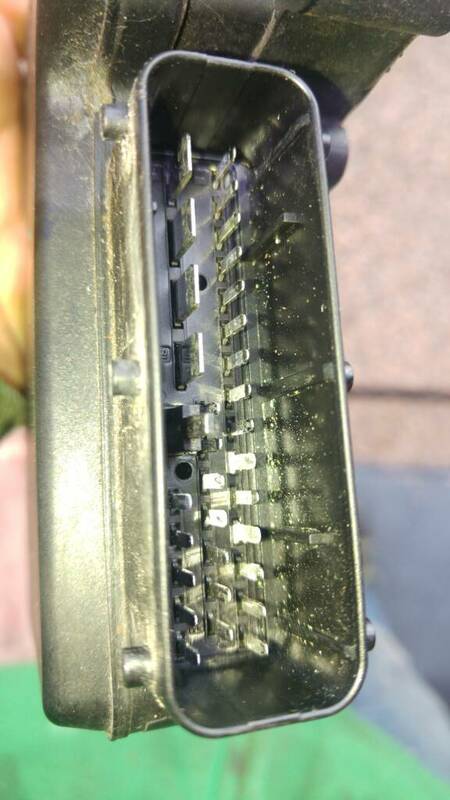 I removed the top of the abs module and cleaned all terminals properly with electrical spray and a small spare female fitting, then sprayed them all with brake cleaner to dry it out. I then did the same with the abs module plug and fitted it all together and it worked on axle stands. I will take it for a drive today to fully test.